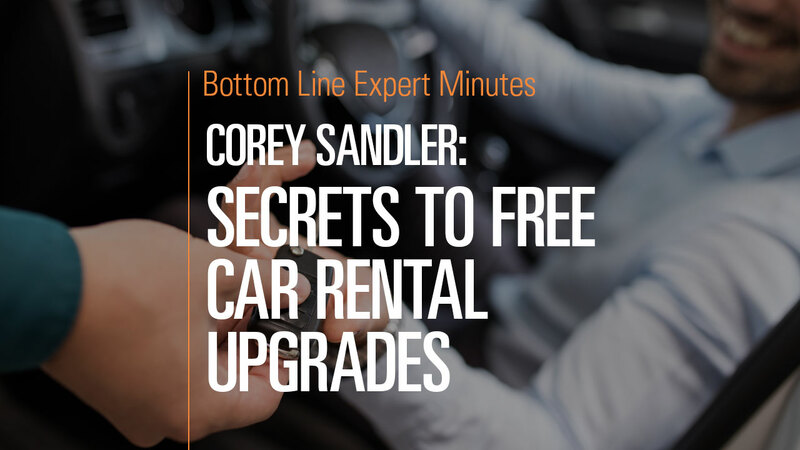 In his book, Bottom Line’s Secrets of the Savvy Consumer, consumer expert Corey Sandler discusses how to get free upgrades on rental cars. When you are looking for a rental-car upgrade, first ask the staff. The rental company may be willing to fulfill the request for any number of reasons ranging from your comfort to their needs. It can help if you become friendly with the staff at the rental-car agency you use most frequently. Also, reserve the least-expensive car that is acceptable to you during busy times in hopes that the rental agency will offer to upgrade your vehicle to fulfill the rental contract. Always ask for the upgrade. And the rental company’s online app also may help you select the best car for your rental needs.